We believe your chronic pain is real. Lets keep the conversation open. Whenever anyone reads an article about pain the headline usually reads, “Opioid Crisis…” Conversations have been sidetracked causing the real issue “living with pain”, to be shelved, gathering dust, ignored and eventually forgotten. Over 100 million Americans suffer from chronic pain. Now that’s not a lonely number. 100 million is not a number to ignore. Musculoskeletal Resources is committed to keeping an open conversation going as long as chronic pain exists — indefinitely! The subject matter of our conversations will solely focus on the people who live with chronic pain. Our conversations will be judgment free, listening, and offer creative and innovative outlets to the problem of chronic pain. Some New York pain management doctors treat chronic pain with non surgical alternative methods that reduce pain without the dash of addiction. These pain specialists utilize therapeutic injections into the spine (epidurals), nonopioid therapies, such as physical therapy, or other procedures, such as radio frequency ablation, a medical procedure whereby high energy radio waves are used to heat up the nerves in order to prevent the transmission of pain signals. Lets talk about pain — Its starts in the brain. Pain starts in the brain. The brain is sent a message that you are in pain. Pain is something that we all at some point experience. But understanding pain isn’t so simple. We all experience pain in different ways and the manner in which our brain processes these signals can vary significantly. Pain still remains a mystery considering that it is an epidemic. We continue to promote pain awareness. Look for events that could benefit from a chronic pain advocate. Find pain specialist that offer alternative pain treatments. MSR will continue to reach out to tell individuals in chronic pain in order to provide support. Remember you are not alone! According to the National Center for Health Statistics (2006), approximately 76.2 million, one in every four Americans, have suffered from pain that lasts longer than 24 hours and millions more suffer from acute pain. Chronic pain is the most common cause of long-term disability. Synergy Spinecare is pleased to welcome Dr. Maria Cabodevilla-Conn, MD, MBA to Synergy Spinecare Clinic in Teaneck, New Jersey. Dr. Maria Cabodevilla-Conn, MD is both a physiatrist and pain management specialist who is board certified in physical medicine and rehabilitation as well as pain medicine. Dr. Maria Cabodevilla-Conn, MDn graduated from NYU with honors and majored in both biology and Spanish literature. She received her medical degree from the University of Rochester School of Medicine and Dentistry. She was the recipient of a Dean’s fellowship for the entire duration of her medical school training. Dr. Maria Cabodevilla-Conn, MD completed her physical medicine and rehabilitation training at Columbia-Presbyterian Medical Center and her fellowship in pain medicine and palliative care at Beth Israel Medical Center. In addition, Dr. Maria Cabodevilla-Conn, MD also has an MBA in health care administration. Dr. Maria Cabodevilla-Conn, MD is also a board certified Long Island pain specialist. Her experience and professional training also make Dr. Maria Cabodevilla-Conn, MD a valued doctor to Synergy Spinecare’s New Jersey practice. Synergy SpineCare Clinic is located Synergy Spinecare & Rehabilitation Medicine, P.C. 381 Teaneck Road (Lower Level) Teaneck, NJ 07666. To schedule an appointment with Dr. Maria Cabodevilla-Conn, MD, call 201.530.1300. We welcome Dr. Maria Cabodevilla-Conn, MD, MBA to the pain and injury family of doctors dedicated to healing. Dr. Maria M. Cabodevilla-Conn, MD Joins Synergy Spinecare & Rehabilitation Medicine NJ. Lady Gaga’s chronicles her struggles in her career and with chronic pain. Her vulnerability , honestly and unpredictable future with chronic pain shows others suffering the pain epidemic they are NOT alone. Lady Gaga’s New Netflix Documentary Hits Home To Those Who Suffer From Chronic Pain. Fibromyalgia appears to make that problem worse, and being a pop star in chronic pain certainly doesn’t seem easy. One scene shows her having her makeup done for a performance while sitting in a doctor’s examination room. Pain doctors who specialize in treating fibromyalgia say that the disorder is under-treated and that its sufferers have been stigmatized as chronic complainers. “I use the word ‘suffer’ not for pity, or attention, and have been disappointed to see people online suggest that I’m being dramatic, making this up, or playing the victim to get out of touring,” she wrote. It’s not the first time she’s been doubted or criticized about something that her body has gone through. When hip surgery made her cancel her 2013 tour, some folks accused her of faking her injury because of underwhelming ticket sales. According to the National Institutes of Health, 80 to 90 percent of those affected are women, and since it has traditionally been difficult for women to be heard in our culture, women with this illness may have to speak a little louder in order to really be heard. Jillian Michaels: suffers from endometriosis and Polycystic Ovary Syndrome (PCOS). Marcia Cross: suffered from debilitating migraine at 14 years old, which negatively affected her life and work. Elizabeth Taylor: Born with scoliosis, which can cause an unnatural curvature of the spine, and she suffered back pain for years. Morgan Freeman: Diagnosed with fibromyalgia. Kathleen Turner: rheumatoid arthritis—an autoimmune disorder in which the body attacks the soft tissue & joints. Jennifer Grey: suffered chronic pain for years after a neck injury from a 1987 car accident. September is Pain Awareness Month. New York Doctors Want To Hear your Story. We want to hear your story. In acknowledgement of National Pain Awareness Month we will publish your story to our blog as an effort to build awareness around the struggle of 25.3 million U.S. adults in pain in our country. How has it effected the quality of your life. What types of treatments have you pursued in hopes of relief. Your contribution to our blog will be our way of giving you a voice. We acknowledge that pain happens and your pain is real. If you suffer from chronic pain an have exhausted every effort New York Pain Doctors in your area to find out what pain management treatment are available that you have yet to consider. We would like to help. PRP Therapy (Platelet Rich Plasma Therapy), is a non-surgical treatment that uses the patients own blood to initiate healing and repair of damaged tissue. The platelets are best known for their importance in clotting blood. However, platelets also contain hundreds of proteins called growth factors which are very important in the healing of injuries. The patients own platelet rich plasma is injected into the damaged, pained joint, muscle, ligament or tendon. PRP treatments allow for faster healing of soft tissues. The Angels’ Garrett Richards chose injection treatments, not surgery, and now he’s back. Alex Rodriguez used PRP therapy after he underwent hip surgery in 2009. … Blood is made up of white blood cells, red blood cells, plasma and platelets. Platelets help the blood clot and also secrete growth factors, which are healing proteins. Stephen Curry had Platelet-Rich Plasma for a grade 1 MCL sprain during Game 4 of the team’s first-round series against the Houston Rockets in 2016. Rafael Nadal, Tiger Woods, Kobe Bryant, Alex Rodriguez, Zack Greinke and Hines Ward — who have tried the treatment. British footballer John Terry even shared an Instagram photo of himself receiving the treatment. Los Angeles Lakers’ D’Angelo Russell got a platelet-rich plasma injection to alleviate pain in his left knee. After having the injection on Nov 23, he missed 11 games to pave way for full recovery. Philadelphia 76ers Jerryd Bayless got his PRP injection to heal his wrist. New York Mets catcher Travis d’Arnaud received a platelet-rich plasma injection in his injured right shoulder. Skyline Physical Medicine & Rehabilitation, P.C. Suffer From Chronic Back Pain? 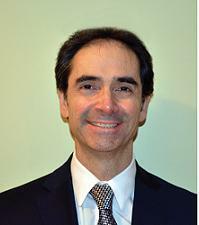 Dr. Nunzio Brooklyn Pain Specialist Can Help. About 80% of adults experience low back pain at some point in their lifetimes. Back pain is one of the most common reason for visiting a pain specialist according to the National Institute of Neurological Disorders & Stroke (NIH), reportedly a contributing factor to employees taking time off from work. Low back pain is defined as pain that lasts between 4 and 12 weeks. If you’ve injured your back at work from repetitive overuse, Dr. Saulle Nunzio, Brooklyn pain specialist provides pain management treatments that will set you on the right path to recovery — and get you back to work. Ask your Dr. Nunzio about your back pain. NJS Physical Medicine & Rehabilitation, P.C. Brooklyn’s premiere spine & back pain doctors. Same day appointments available. Medical marijuana is offered to patients in many different forms. It can be smoked, vaporized, ingested in a pill form or an edible version (brownies, cookies and chocolate bars). Medical marijuana is considered a schedule 1 drug by the FDA (federal Drug Enforcement Administration) meaning it has a high potential for abuse. There have been a number of studies in the United States on the effects of medical marijuana as a therapeutic medicine for patients that suffer chronic pain. Marijuana contains 60 active ingredients known as cannabinoids. The body naturally makes its own form of cannabinoids to modulate pain. THC (Tetrahydrocannabinol)TetraHydroCannabinol is a psychoactive compound contained in Cannabis, which contributes to the euphoric, or “high” feeling that is generally associated with its use by most patients. THC has analgesic (pain relieving) effects, neuroprotective and anti-inflammatory qualities, helps stimulate appetite, relieves nausea, and also contributes to other beneficial effects. CBD (Cannabidiol)Cannabidiol is a non-psychoactive compound within Cannabis which reduces the psychoactive effects of THC. With qualities ranging from anti-inflammatory, to anti-anxiety, anti-arthritic, analgesic, anti-convulsive and much more, CBD works similarly to THC, but has been shown to modulate its psychoactive effects. Strains rich in CBD are less common than THC rich strains, and many are just now being developed and released specifically for the Medical Cannabis community as an alternative form of this medication. THCA and CBDAThe A indicates the carboxylic acid form of the molecule which is directly produced by the plant. These compounds decarboxylate with heat to form their neutral counter parts described above. These compounds are powerful anti-inflammatory agents, but only so when consumed orally, and the plant has not been heated before consumption. These medicinal compounds are most often consumed through juicing or making tea with the plant’s flowers and leaves. CBNCannabinol is a degradation product of THC which can lead to feelings of muscle control loss, and other generally uncomfortable physical effects. CBN isn’t readily found in fresh flowers and is often an artifact of improper analysis. TerpenesTerpenes modify the effects of THC and the other cannabinoids, and impact the medicinal effect of the strain. Terpenes are also responsible for some of the smell and taste characteristics. Terpenes are being used to fingerprint and identify each strain in the hopes that we can begin to understand their physiological impacts.Below are some of the highlights of what is generally known so far. Pinenes: Pine odor, bronchodilator that opens the lungs to more THC absorption. It also increases focus, self-satisfaction, and energy. Linalool: Floral smelling, is believed to provide some anti-cancer effects and is known to cause severe sedation. Limonene: Has a citrus scent and may possess anti-cancer, anti-bacterial, anti-fungal and anti depression abilities. Myrcene: Effects intake of THC by brain cells to increase the overall effects of THC when ingested together.Marijuana has been found to be effective in reducing neuropathic pain, or pain caused by damaged nerves. Opiates, such as morphine, aren’t effective at treating that sort of pain. Other studies show that marijuana, in addition to opiates, led to dramatic levels of pain relief. Cannabinoids plus opiates are synergistic in their relief of pain.The American Academy of Neurology found that certain forms of medical marijuana (only in pill or oral spray form) can help treat some symptoms of pain (pain related to spasticity, including painful spasms, and painful burning and numbness) and overactive bladder. After researching the effects of medical marijuana, CNN’s chief medical correspondent, acknowledges that medicinal plants (including marijuana specifically) aren’t a new idea: The medical and scientific communities have been studying medical marijuana since the 19th Century, and marijuana was actually used to treat neuropathic pain until 1943. Dr. Matthew Kalter – Long Island, Suffolk County, Smithtown, NY – Medical marijuana card NY. Get information on how to get a Medical marijuana card in New York for your condition. When is it time to see an athlete injury doctor? Tennis players, swimmers, cyclists or runners run the risk of suffering tennis elbow, an aching shoulder, sore knees or pain in your heel. Whether your a professional athlete or a weekend warrior working out and physical performance is a way of life that you cherish. Seeing an athletes doctor would probably be better than toughing it out. Seeing a sports medicine specialist ensures that your being seen by a physician that understands running injuries. Individuals that compete in marathons, triathlons, and swim meets are no strangers to sore knees, pulled hamstring, heel or hip pain. The red flags that suggest an athlete seek medical attention immediately include chronic pain that worsens, pain through the night, joint inflammation or bruising, and joints that become unstable. If your not getting better naturally, seeing a doctor would be in your best interest. Sore knees are quite common among runners. Typically Rest, Ice, Compression, and Elevation (RICE) would be the natural choice for any athlete experiencing pain and inflammation. Pain or tenderness in a muscle or tendon can be temporarily be relived with cortisone injections. Small labral tears in the hip, rotator-cuff tears, rips in the tendons can worsen over time. Athletes that suffer chronic aching painful joints should seek medical attention from a sports medicine doctor to determine the cause of the injury. Runners suffering knee pain, may be a result of a tight iliotibial band, (common overuse injuries among runners) which locks the knee, straining the gluteus muscles. Doctors that effectively treat athlete injury do not have them come in and just lay on an exam table. Your doctor after reviewing diagnostics tests, will determining a treatment plan or injury prevention. Treatment plans may include pain relief Injections, at-home exercises, physical therapy, or diet. Athlete Injury? When should you see a specialist‎, sports physician. NY / NJ sports Injury doctors. What do you do when Musculoskeletal Pain (injury to the bones, joints, muscles, tendons, ligaments, or nerves.) wont go away? Musculoskeletal Pain can result from car accidents, slip and fall, fractures, sprains, dislocations, and trauma to the muscle. Musculoskeletal pain can be caused by overuse from sports injury or work injury. Injection treatments simply reduce pain by delivering medicine directly to the source of the pain. Platelet Rich Plasma (PRP) therapy can restore health to a diseased or injured area instead of only reducing pain. Botulinum toxin type a (Botox) also known as Neurotoxin can treat muscle stiffness and muscle spasms. Epidural Steroid injections (ESI) can help relieve neck, arm, back, and leg pain caused by inflamed spinal nerves. ESI may be performed to relieve pain caused by spinal stenosis, spondylolysis, or disc herniation. Nerve Block Injection is a temporary numbing medicine used for back pain.